New Delhi: PESB has recommended the name of Shri Rajeev Bhardwaj, GGM (HR), CONCOR for the post of Chairman and Managing Director, National Textile Corporation. 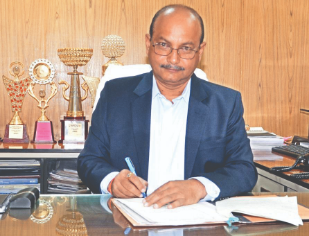 New Delhi: PESB has recommended the name of Shri Gaurang Dixit, Chief General Manager, NSIC for the post of Director (Finance), National Small Industries Corporation Limited (NSIC). Dr. Rajesh Kumar Yaduvanshi Appointsas Executive Director of PNB. Shri RAVINDER SINGH DHILLON selected for Director (Project), PFC. Shri Rajiv Ranjan Sinha Selected for Director (Personnel), MMTC Limited. PESB has recommended the name of Shri Subhash Chand Gupta, Group General Manager, RITES Limited for the post of Director (Way & Works), Konkan Railway Corporation Ltd. (KRCL). PESB has Recommended the name of Shri Manoj Kumar Verma, Executive Director, BHEL for the post of Director(Power), Bharat Heavy Electricals Limited. PESB has recommended the name of Shri Kamalesh Das, Executive Director, BHEL for the post of Director (Engineering, Research & Development), Bharat Heavy Electricals Limited . 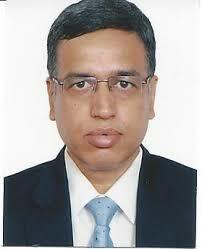 Shri Manoj Kumar Selectd for Director (Technical) WCL. New Delhi: PESB has recommended the name of Shri MANOJ KUMAR, General Manager, Eastern Coalfields Limited for the post of Director (Technical), Western Coalfields Ltd.
Shri Anil Kumar, selected for the post of Director (Personnel), North Eastern Electric Power Corporation Limited. Shri VijayGopal, selected for the post of Director (Finance), Bharat Petroleum Corporation Ltd.
Shri Ravindra Kumar Nigam, selected for the post of Director(Technical), South Eastern Coalfields Ltd.
DR. Alka Mittal, GGM, ONGC selected for the post of Director (HR), Oil & Natural Gas Corporation Limited.